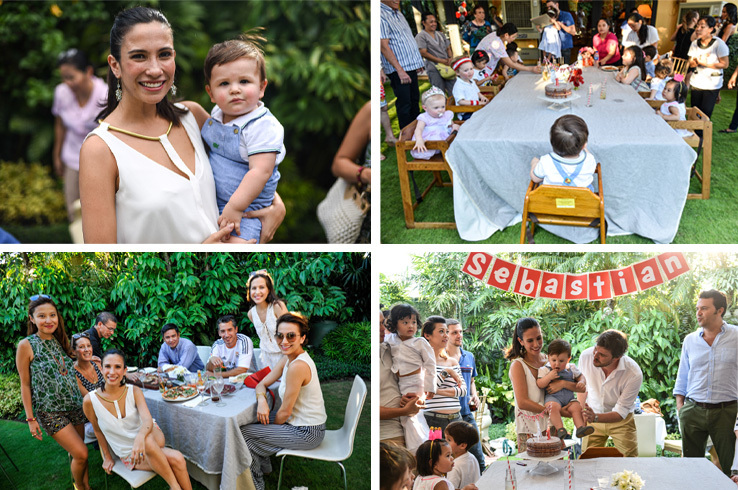 Posted September 21st, 2015 by Stephanie Zubiri & filed under Bébé, Feast with Me. There’s nothing I love more than planning a party. 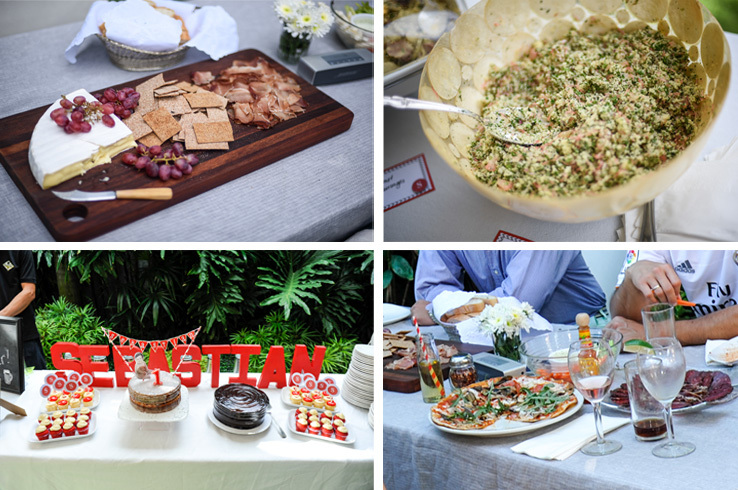 I love coming up with a theme or an idea, creating the menus, thinking of the decor… It doesn’t stress me out at all, in fact I can’t think of anything more exciting or enjoyable. I especially love those magical 30 minutes when everything is perfectly prepared and you’re just waiting for guests to arrive. The house looks beautiful, everything is in its right place and you know you’re going to have a great time. 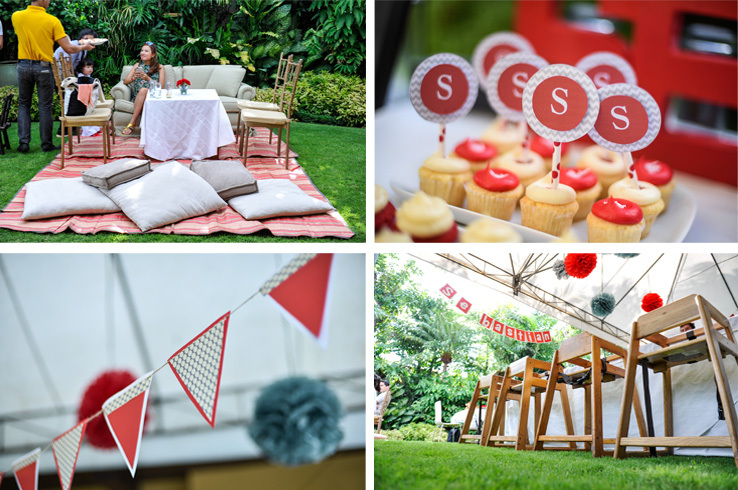 Those magic moments remind me of my childhood when my parents used to throw these amazing parties in our home and I would be in my pajamas watching all the tablecloths being smoothed and the glasses being polished. This being said, obviously I was planning my son’s first birthday party even before he was born. I had written up a list of unusual themes that I wanted for all his future parties. 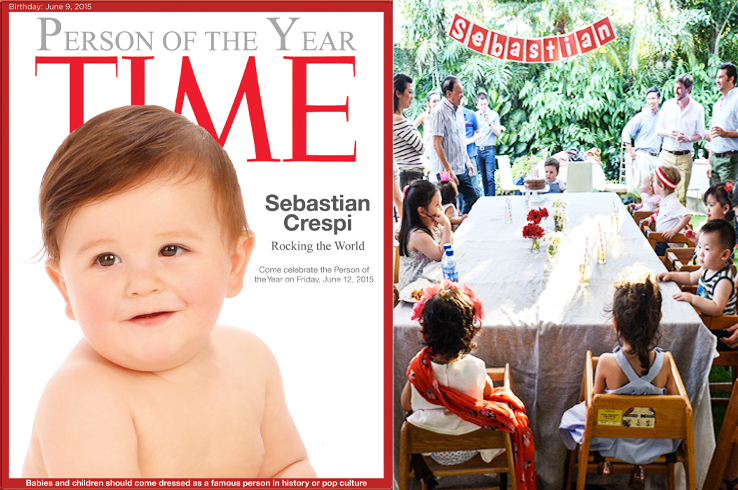 There was one theme however that just had to be for his first birthday – Time Person of the Year. He would be on the cover of Time Magazine and there would be a baby banquet in his honor. 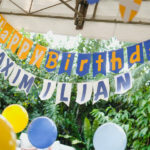 First birthdays in the Philippines are a big deal. It’s the time where parents can show off their bubs to friends and family. That perfect age where their still an adorable baby but can do all kinds of nifty tricks. “Flying kiss!” “Bad smell!” “What does the dog say?” More often than not though, I’ve noticed that in all the exuberant enthusiasm parents put into the parties – most of the time the celebrant is confused with all the hullabaloo, huddled in a corner with their bottle or teddy trying as best as they can to deal with the chaos or in many cases flat out wailing while a bunch of titas are trying to take a picture with him. 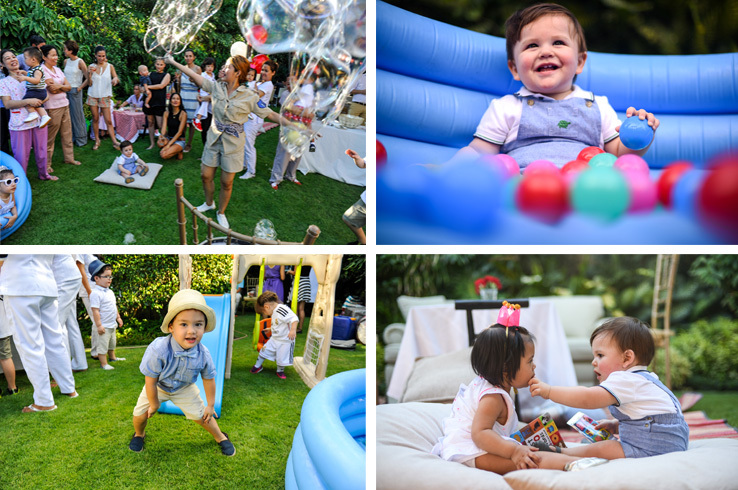 Many times I find that these parties are over-the-top: tons of decor, too many activities going on and a host with a microphone that is way too loud for the little ears. Also why is it that many times I hear top 40 and techno hits blaring on the sound system? Sometime when I close my eyes at these events I feel more like I’m in a nightclub than a children’s party. My husband who grew up in Europe obviously frowns upon the whole thing. 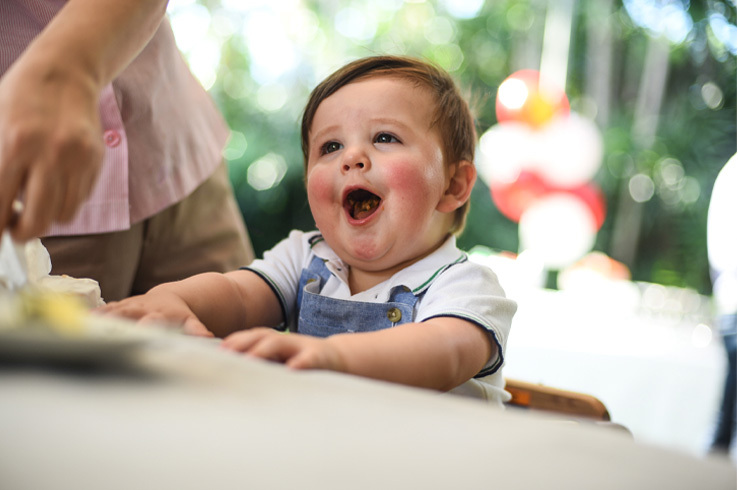 “Most first birthdays are celebrated at home, with the family and a cake. And that’s that.” I on the other hand although it’s not my style, have gotten used to the mega productions. I grew up here after all… although back in the ’80s things were much simpler. 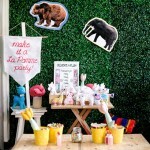 As much as I had this idealistic vision of me cutting all the little pompoms myself and creating all the decor by hand it was just virtually impossible between mommy duties, work and the fact that I was going to be cooking half the menu! I found the best solution: Party-In-A-Box by Maricel Mendoza of www.asweetcottage.com . I emailed her my pegs and what I needed and she just sent everything over in the cutest personalized packaging including a present for Sebastian. She sent me pompoms, bunting, letter bunting in my son’s name, cupcake toppers, blank food labels, paper straws and 3D letters all in the colour scheme and theme. I hung the pompoms from the tent at varying heights and created a centrepiece that would hang on top of the baby banquet table. 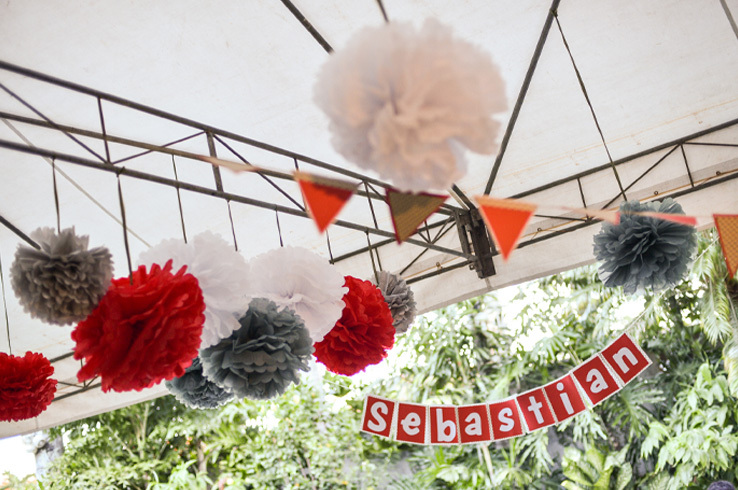 I crisscrossed the bunting throughout the tent and hung Sebastian’s name in the center so everyone could see it when they entered. I ordered balloons in red and white which I taped to the poles of the tent. For the tablecloths I stuck to plain white but also bought a light grey with white pinstripe linen which I cut to the size of the main table and an auxiliary table. I didn’t mind spending on a nice fabric because I would most certainly use it again since it is such a neutral color. My mother also had red and white checked table cloths which I used for the kiddie table. A few red gerbera daisies and some white mums were a perfect way to dress up the table without overdoing it. I also printed cute photos of my son, framed then and set them up here and there for a personal touch. 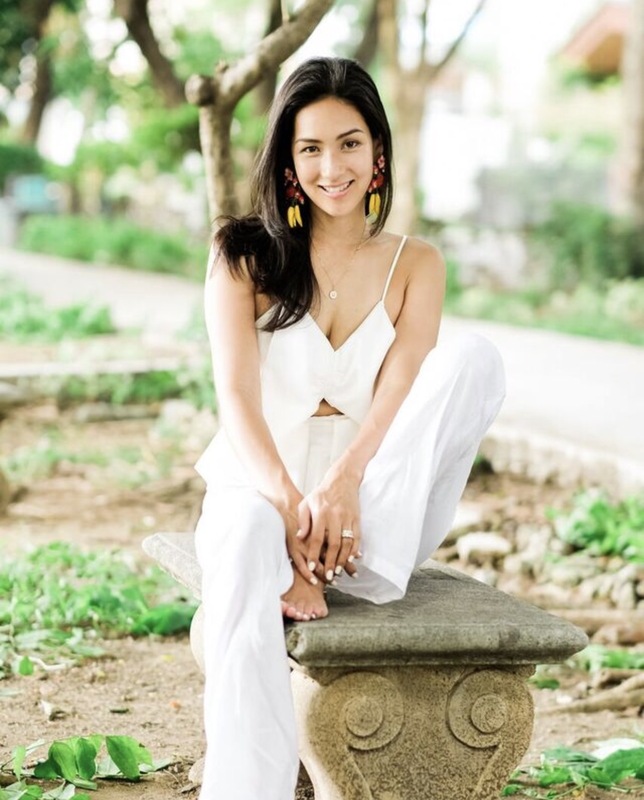 I always like to keep things organic and flowing so people can circulate and have several options of how they want to sit and unwind. 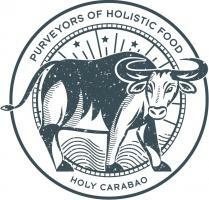 There was one buffet for the pizza making station and savory foods. Another buffet on the other side for the drinks, baby beer station and desserts. The main table was a banquet table set up for 12 kids with 12 high chairs. At one end of the garden was a rectangular table for 6 with some cold cuts and a cheese platter on it. To the back and center of the garden I laid out banigs, set up a sofa and a coffee table with some pillows on the ground around it. Beside this was a small kiddie table for 4. Older guests preferred to stay indoors anyways with the air-conditioning and this way the kids had lots of space to run around the garden and just be kids. 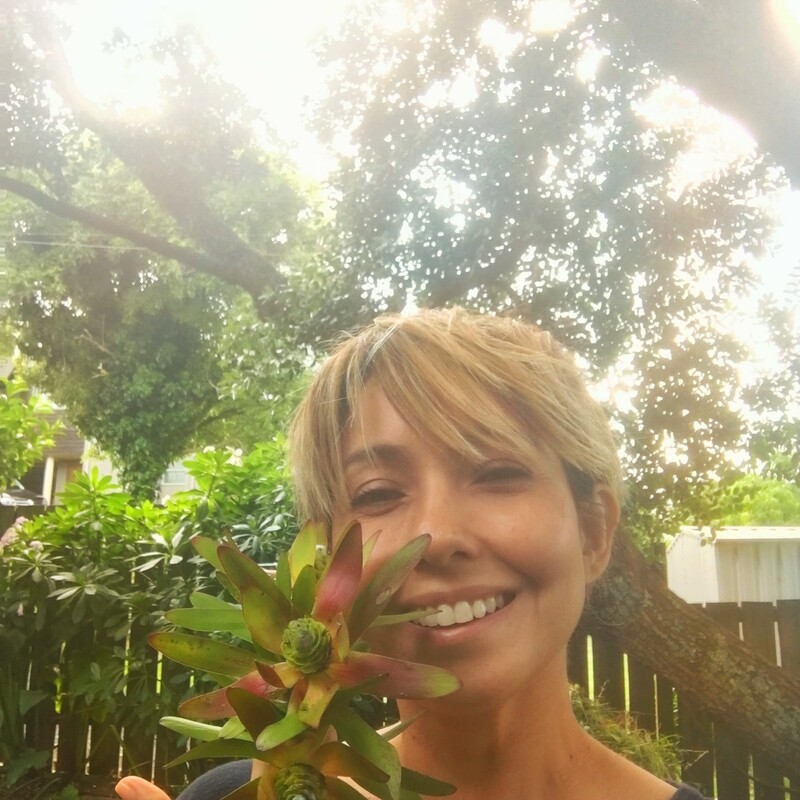 My husband wanted me to cook everything! But I was already making my son’s birthday cake (my own personal goal to bake all of my children’s birthday cakes!) and I needed to not be too harassed. So we settled for a good and really yummy compromise. My Buttery Lemon Poundcake Birthday Cake – citrusy, buttery and tart, decorated simply. My son loved it! That’s all that matters! 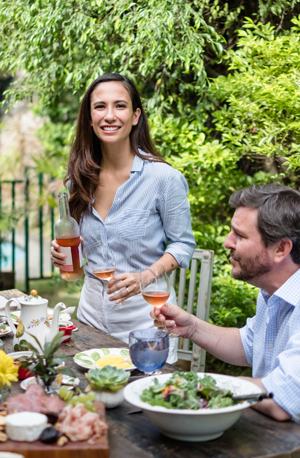 We served some rosé wine, good value for money is Chemin des Sabliers from Santis. A bit on the sweet side for my usual taste but headache free and perfect with some ice cubes on a hot afternoon. We also had Manille Calamansi Liqueur with ice and sparkling water and some cold beer. 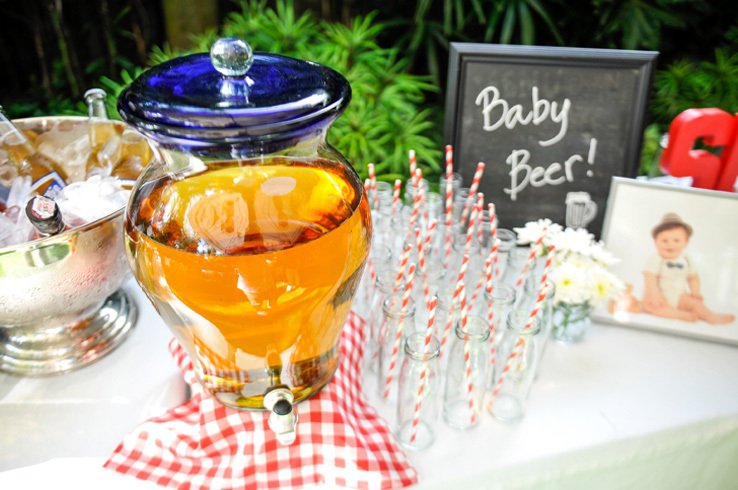 There was of course a few sodas, lots of cold Perrier and San Pellegrino but for the kids I made a “Baby Beer” station with apple juice and perrier and poured them into recycled juice bottles. It was such a hit! I firmly believe kids just want to be kids and at 5 years old and below their attention span isn’t that long. 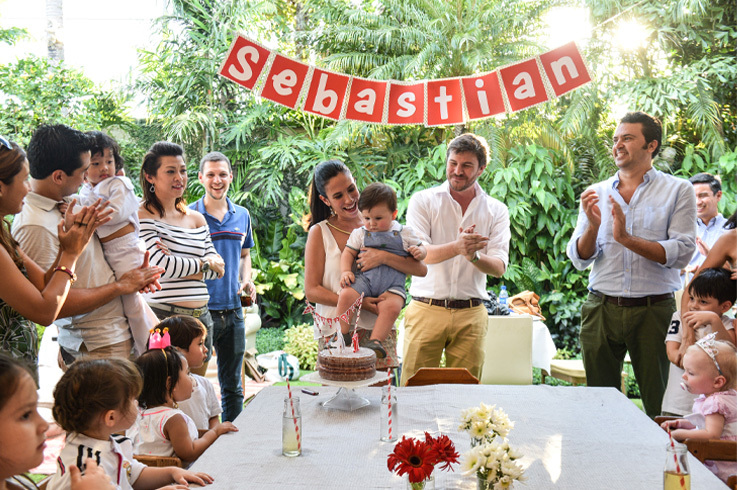 I brought over Sebastian’s swing and slide set and filled a kiddie pool with balls. The only other entertainment I had was a 15 minute bubble show which always has everyone excited. Luckily we had amazing weather and everyone just enjoyed being outdoors and carefree. I also set up a table with a “time capsule” for Sebastian in which guests had to write what they thought he’d be when he grows up. 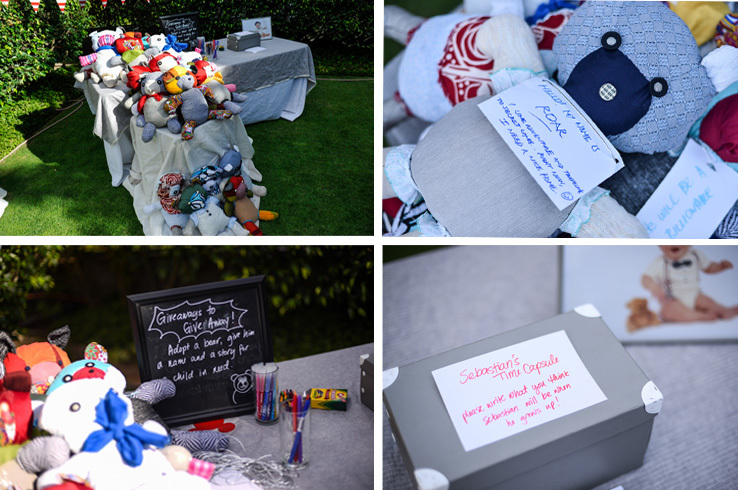 Next to it was a pile of handmade bears where guests could adopt a bear, give it a name and a message and it would go to a children in need. This is a wonderful project of my friend Rocio Olbes called Bars-to-Bears where prison inmates make the bears from recycled fabric scraps and they are given to children with terminal illnesses. Instead of giveaways I thought it would be nice to have giveaways to give away. Overall it was such a success, I couldn’t have wished for a better celebration for my son! The little kids just enjoyed being free and having the space to move around, the big kids (a.k.a. us adults) enjoyed indulging in pizza and kiddie spaghetti while washing it down with some rosé while happy latin music was playing in the background matching the joy of children’s laughter. 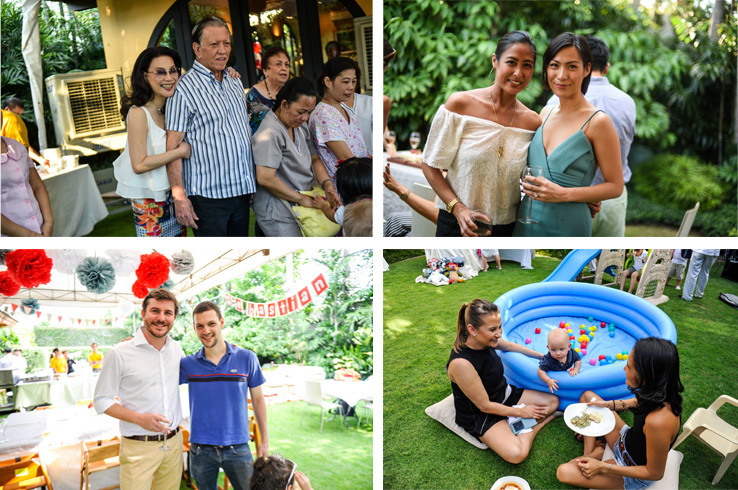 Grandparents, titos, titas, ninongs and ninangs were all smiles just relaxing in the garden relishing the relaxed and happy atmosphere! Luckily my parents’ garden starts to be shaded at around 3 pm and a nice breeze came in around 4pm to cool us off. 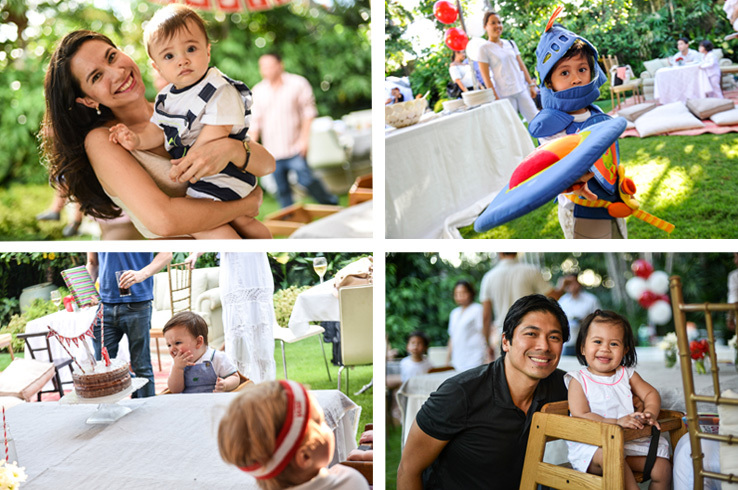 We also had the cutest little guests dressed up as “Cristina Ronaldo”, Lancelot, Audrey Hepburn and the Jonas Brothers to name a few. Plus of course the most famous one of them all – Pope Francis! But halfway through the day most of them ditched their costumes and did what kids love to do – just be kids! Beautiful celebration and not over the top at all. You did great! I enjoyed reading this post. I completely agree with you on children’s parties — they’re loud & the celebrant has no clue what’s going on. This is why I keep to a theme and 1 activity – to keep things manageable for both kids and guardians. 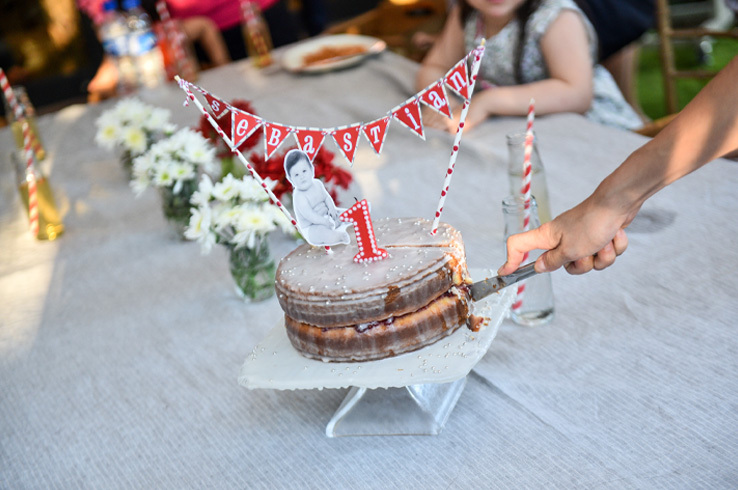 I also DIY his celebrations – from birthdays to Christmas get-togethers with his playmates. For his first birthday in 2013, he had a nautical-themed party & he was also very fond of reading so I took that as a hint. I set up our living room with a nook where Sipat Lawin did a beautiful storytelling session. 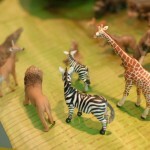 Another area was set up with some of my son’s favorite toys which the kids later played with. Even as a baby, my son would be lulled to sleep with old songs — he loves The Beatles & has 2 turtles named John Lennon & Ringo Starr. 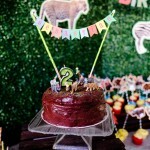 So for his 2nd birthday last year, we DIYd a Yellow Submarine party & had all his favorites in the spread – pumpkin soup, pizza, carbonara, chicken, made their own popcorn, and had yummy rainbow cake. I’m lucky to have such creative friends and 1 of them – an art teacher – facilitated the painting “class” for kids, which the adults ended up participating in as well. They got to bring home the taka horses they painted, as well as tin lunchboxes with UK-themed items.